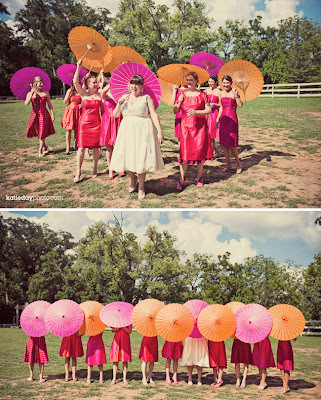 I think this is such a great idea, especially when you have a large bridal party. 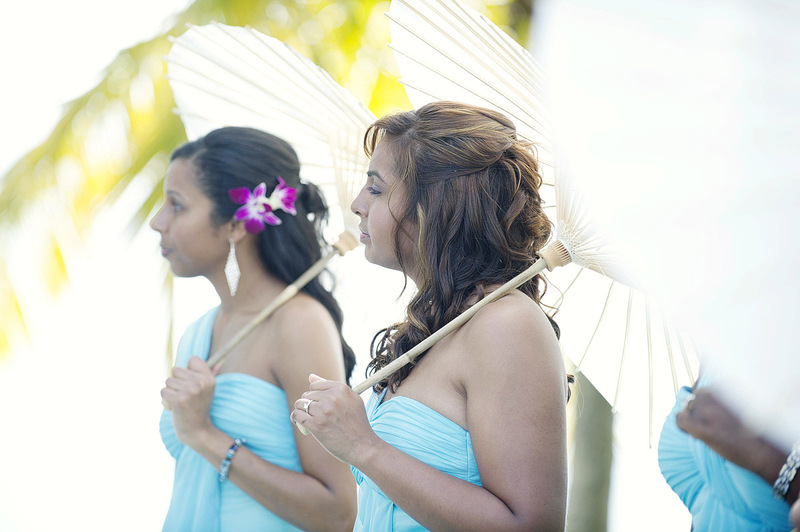 A maids bouquet can be as inexpensive as $30 but a full sized maids bouquet is typically $75. If you have six maids…yikes, that can add up quick. 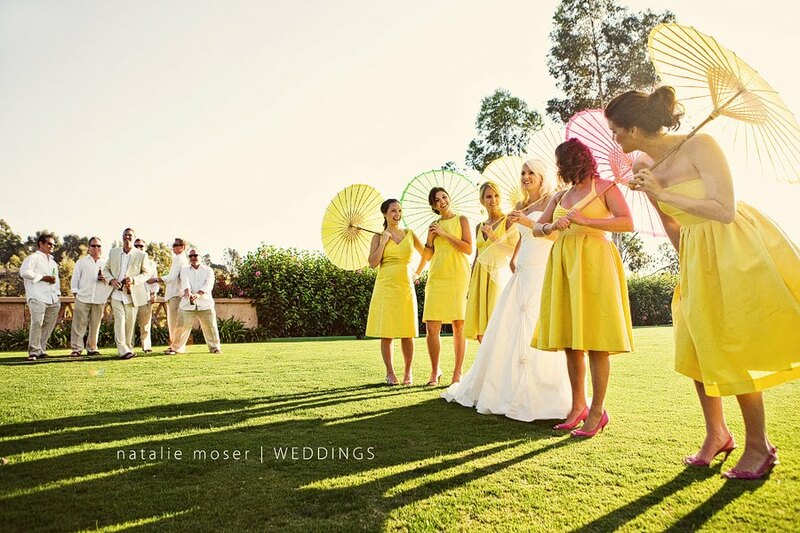 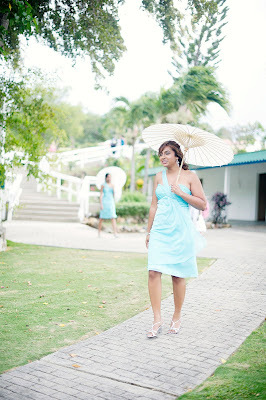 I love the simple white against the freshness of their blue dresses…these parasols are a perfectly beautiful alternative to flowers.